If you love SquareUp for payment processing, be sure to look over our product importer just for you! If you use SquareUp for your small or medium sized business, now you can pull all of your Square products into EasyCart in one-click! If you have not updated to the latest EasyCart, you may be missing added benefits! Use SquareUp in ALL of our ecommerce editions! 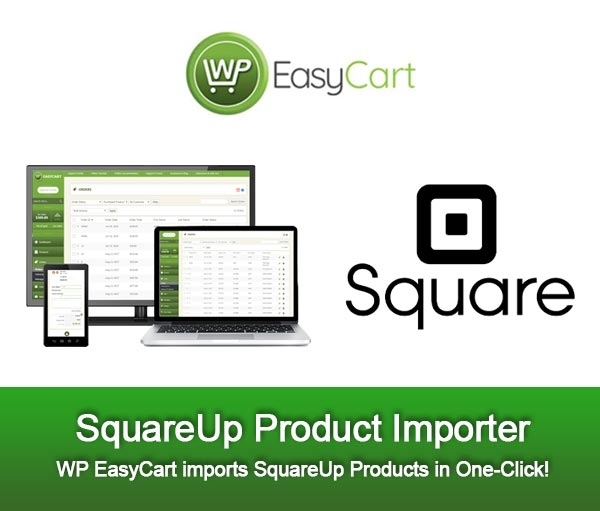 In order to import your Square products to EasyCart, you need to first be connected to your Square account with EasyCart. 1. Go to Settings -> Payment and be sure to connect Square. 2. 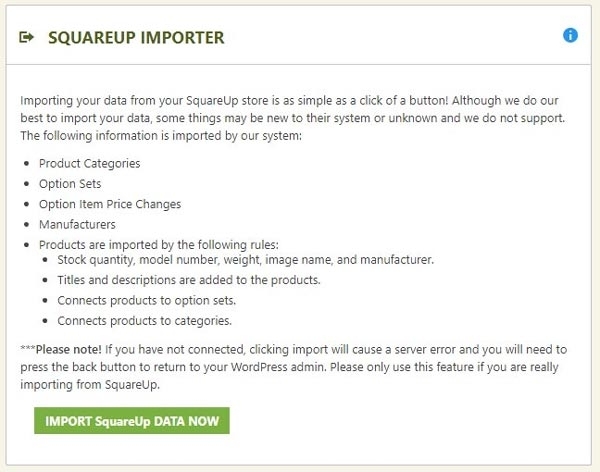 Once connected with Square, you can go to the Settings -> Cart Importer and import your data with our one-click importer. Note: If you experience any issues, you may need to go to the Settings -> Payment section and disconnect/reconnect your SquareUp account. This will ensure you have the correct permissions to bring products over. READY TO GO PRO TODAY?